Abbvie has gained sign-off for its rival treatment to challenge Gilead’s dominance of the growing market for new hepatitis C medicines. The FDA has accepted Abbvie’s application for Viekira Pak, an oral combination treatment for patients with chronic genotype 1 (GT1) hepatitis C, including those with liver damage. Viekira Pak (dasabuvir), contains three drugs (ombitasvir, paritaprevir and ritonavir), with three different mechanisms of action that work together to attack the virus. In Phase III trials Viekira Pak cured more than 95% of people GT1 hep C, which affects more than 70% of all people with the disease. It has been recommended with or without the generic hepatitis drug ribavirin. It is also approved for people with hep C and HIV who have had a liver transplant. Abbvie has priced its drug more modestly than Gilead’s Harvoni (sofosbuvir and ledipasvir). The Viekira Pak will cost $83,319 for a 12-week course of treatment; 12% cheaper than the $94,500 cost for Harvoni for the same treatment length. However Gilead estimates that some patients only need to take Harvoni for eight weeks, which reduces the per-pill cost to $63,000. Abbvie may struggle by comparison to the Gilead drugs on compliance. The Viekira Pak regimen involves three pills in the morning and one at night, and six tablets if taken with ribavirin. This compares with once-daily Harvoni, which has similar cure rates. Analysts predict Gilead, who launched Harvoni in December, will retain the majority of the market for new hepatitis C treatments, which is estimated to be worth $15 billion in 2015. 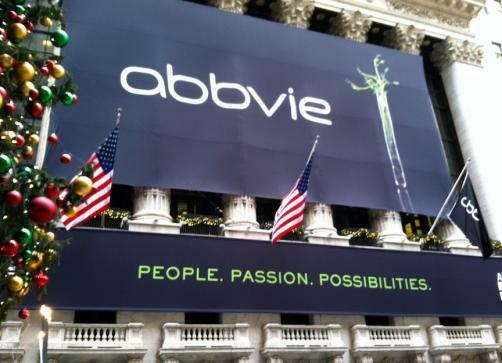 But Abbvie has moved to guarantee a more secure market share by negotiating directly with the largest US pharmacy benefits provider. Express Scripts, a vocal critic of Gilead’s pricing, has signed an unprecedented pact with Abbvie to provide Viekira Pak exclusively to patients at a discounted cost – to the exclusion of Gilead’s drugs. In exchange for the discount Express Script will put no limitations on the extent of liver damage patients must have before receiving treatment. Primary care doctors will be able to prescribe Viekira Pak as well as specialists, further broadening the market. The FDA’s decision triggered a $75 million milestone payment by Abbvie to Enanta Pharmaceuticals, who developed Viekira Pak, bringing the total payments from AbbVie to Enanta to $227 million. In Europe, the EMA has granted positive opinions for VIEKIRAX (ombitasvir/paritaprevir/ritonavir) and EXVIERA (dasabuvir) for the treatment of chronic hepatitis C. A final decision expected in early 2015.